Schweizer used the 269 airframe as the basis for its contender in the 1990 Army competition for a TH-55 replacement. The Schweizer 330 has an enlarged cabin, seating four, and a fully-clad fuselage and faired-in tailboom with a larger tail unit. The main change, however, is the move to a 200shp Allison 250 turboshaft engine. As it turned out, Schweizer did not win the U.S. Army competition, but the Model 330 is in production for civil customers and is built at Elmira next to several versions of the Model 300. Schweizer-built 3/4 seat light helicopter derived from 300 with 0.38m wider cabin, faired in tail section, tail fin and tailplane with finlets, pointed nose, 992kg TOGW and 420shp Allison 250-C20W turboshaft engine. Prot. N330TT FF 1988. Contender in U.S. Army NTH competition. I was on the Source Selection Evaluation Board for the US Army "New Training Helicopter". I was part of the proposal evaluation and flew the aircraft model during the Training User Effectiveness Evaluation. Fact: The aircraft failed to meet specified minimum performance requirements. It was "eliminated" from consideration. That means, if it had been the only competitor, it would not have been purchased. flown this heptr as a trainee pilot at banglore. again a good system for training abinotio pilots. its fantastic...it was great flying it. thnx to the manufacturers. may i get any more technical data(like regarding engine-fuel quantity,oil quantityu,di schedule or any thing extra) of this perticular aircraft ? i am interested to know more about this aircraft. because i amn working with it as a trainee. i have flown this heptr as a trainee pilot at banglore. again a good system for training abinotio pilots. pl send me checklist of Schweizer 330SP,300C. � Some design features of the 330 can be traced back to the Hughes 269, which first flew in 1956. � The first Schweizer 330 in Europe was a demonstrator for Saab Helikopter. � West Palm Beach Police Department in Florida operates a fleet of 330s. 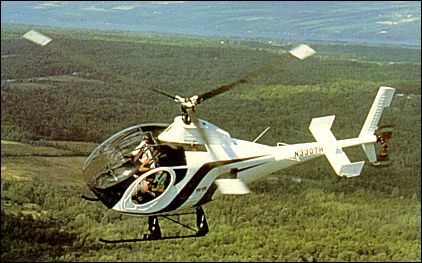 � Main rivals in the US light helicopter market include the best-selling Robinson R44 and Enstrom 480 series. � By January 1997 a total of 15 Schweizer 330 helicopters had been delivered. � The Venezuelan army is one of the few military operators of the 330.